If the thought of taking your children on a long-haul adventure family holiday as a single parent sounds about as enjoyable as a nasty case of shingles, then we’re here to dispel some myths and, hopefully, encourage you, whatever your circumstances, into taking the plunge with your kids in tow. First things first: when we say, ‘single parent’ we understand that there’s no one size fits all. Just as there’s no such thing as the ‘typical’ family, the term ‘single parent’ could be through choice, bereavement, separation or even, increasingly, just because a partner can’t get time off or has (in more than one Stubborn Mule case) had an injury. After all, why should the whole family miss out just because Dad sprained his ankle playing footy, or Mum preferred a spa break to paddle boarding in South Africa? The good news is: even if you are a single parent, you’re in good company with Stubborn Mule. Here’s why. Every single Stubborn Mule trip is tailored around you and your family, with advice given on what destinations best suit you, what activities you’ll enjoy and what accommodation will be best. Similarly, every single destination, activity or hotel has been personally tested by one of our team, so they are well placed to know exactly what you’ll experience on a single parent holiday and advise accordingly. 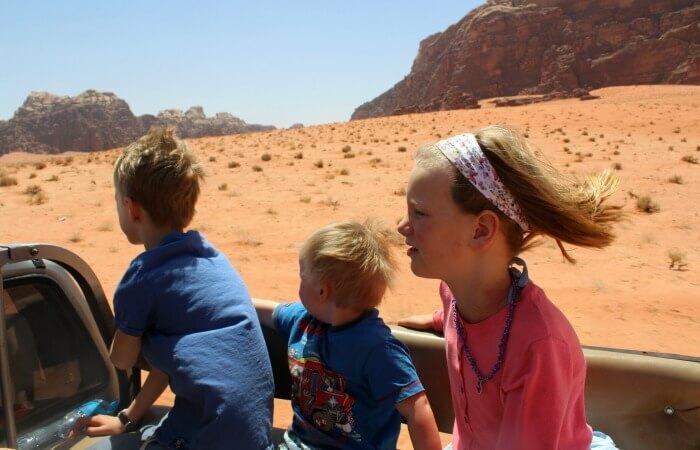 From trying out child-friendly activities in the Galapagos to finding out if children really do like riding camels through the desert of Oman, the lucky Stubborn Mule team and their offspring have test driven many of our family holidays. Many of our destinations include the services of an English-speaking driver/guide, a local expert who accompanies you and your family 24/7. They will transport you from hotel to activity and back again, taking you around the sites and giving expert insights and advice. Frequently they will become part of the whole experience in a positive way, forging a relationship with you and your children – making you feel less of a lone parent. For those doing a long-haul single parent holiday for the first time, this service can add an invaluable second layer of security and comfort. They can also be a handy extra pair of hands / eyes when required. Destinations where we use full time driver – guides include: Sri Lanka, Kerala, Tanzania, Kenya, Borneo and Cuba. If you’re more confident flying solo and like the opportunity of meeting local people on overnight trains for example, then we use part time driver/guides in some of our destinations. These include Jordan, Rajasthan, Vietnam and Peru. This gives single parent families the ‘best of both worlds’, with a full-time driver/guide for 2-3 days, then a journey or internal plane ride, then another one in the next place. There might be as many as four different driver-guides in any one trip. It’s like a driver/guide relay, if you like. Many of our family holidays work well on a self-drive basis for solo parents. This is ideal for confident drivers or those who like having an element of control and independence. And with the assistance of satnav savvy kids on board, what could possibly go wrong? We find our self-drive itineraries in Mexico, Belize, South Africa and Namibia offer the ultimate in flexibility. The parent can choose timings, places to stop – and also what tunes to play, without being beholden to a driver/guide. Rest assured you’ll have 24/7 emergency support and a friendly welcome waiting for you at the end of each drive. Dread those ‘free days’ on holiday where you have to come up with something scintillating to thrill the kids? Stubborn Mule itineraries can be as jam-packed as you like, leaving all ages pleasantly exhausted at the end of each day. Our trips to Peru, Borneo and Brazil in particular are perfect for action-loving families. Here single parents do not need to worry about the safety or logistics as all of this is taken care of by the local guides. And believe us, after a day of zip-wiring, hiking, kayaking, canyoning and white-water rafting, everyone is going to sleep very well indeed. Most (although not all) of the accommodation we use has been chosen because of its flexibility, so interconnecting and family rooms can be arranged. We also like to recommend smaller, boutique family-owned hotels and guesthouses. Here the owner and staff are delighted to keep any single parent company, chatting at meal times and in-between. Similarly, at our favourite ranch in Brazil’s Pantanal for example, meals are enjoyed communally after an exciting day out on safari (horse-back, water-based or on foot). This means that single parents can compare experiences with other adults whilst the kids are snapping away at the amusing resident armadillos. As we’ve mentioned, Stubborn Mule families come in all shapes and sizes and we’ve years of experience in putting together itineraries for single parents. Don’t take our word for it, though, here’s what some of our travellers have said. If you’d like to know more about how we can help create a single parent friendly itinerary, we’d love to hear from you. Call us on 01728 752 751 or use our website contact form.